If you are injured on the job, the steps you take after the injury may determine your ability to claim compensation. It’s important to closely follow the correct procedures are you file a claim, including finding a workers’ comp attorney in Baltimore to help you with your case. Follow these steps to protect your rights and preserve your ability to collect compensation for your injury. It is imperative to report any injury that occurs at work to your supervisor right away, including acute injuries, occupational diseases, and cumulative-trauma injuries. Be very clear with your supervisor that your injury is specifically related to work, and ensure that he or she creates an official accident report. If your supervisor refuses to prepare a report or doesn’t include all of the relevant details in the report, write him or her an official letter documenting the injury. If you can get your supervisor to sign something acknowledging receipt of the letter, it can be helpful to your workers’ compensation lawyer, but if not, simply keep a copy of the letter and a note of when you delivered it. If a report was prepared, get a copy. A doctor should evaluate you as soon as possible. Your company may have a preferred physician, but you are entitled to choose your own doctor under Maryland law. Be very clear in explaining your injury to your doctor, specifically stating that it was a work injury. Follow your medical instructions precisely, and request notes if your doctor recommends that you don’t work or avoid certain activities. All bills should be sent to your employer or your employer’s insurance company. Your workers’ compensation attorney can help you understand where your bills should go. Stay in contact with your workers’ comp attorney throughout the claims process. He or she will walk you through all of the necessary steps to achieving a successful claim. Don’t discuss your case with anyone at work, and talk to your lawyer if you are contacted by an insurance company. Most people think of acute injuries, such as those caused by a fall, when they think of workers’ compensation cases. However, repetitive motion injuries can slowly cause debilitating pain and disability that could cause you to need a workers’ compensation attorney in Baltimore . This video explains more. Repetitive motion injuries can be caused by repeated overexertion or repeating the same motions without adequate rest. A workers’ compensation attorney can help you file a claim if you are left unable to work because of a repetitive motion problem, as well as a temporary or permanent disability claim, as necessary. As with any workplace injury, consult with a workers’ compensation attorney as soon as possible to protect your rights. A lot of attention gets paid to common car accident injuries like whiplash and back pain, but facial injuries are also extremely common and may cause longer-term problems. A facial injury suffered in a car accident can be permanently disfiguring and cause vast changes in the well-being of the victim. Whenever you are injured in a car crash, contact an accident attorney in Baltimore for help. You could be entitled to compensation for your medical costs and the pain and suffering caused by a facial injury. Here is what you need to know. A number of different types of facial injuries are common during car accidents. These include bone fractures, burns, eye injuries, and soft tissue injuries, including lacerations. They can occur in any kind of accident and usually happen as the result of shattered glass and other flying debris, contact with a hard surface in the card, or contact with an ejected airbag. Facial injuries may also occur if you are thrown from the vehicle during the impact. These injuries are frequently very complex and require extensive treatment to heal. The type of compensation you can receive for facial injuries depends very much on the type of injury you experienced. Generally, you may be eligible to have all of your medical costs covered, including your initial treatment and subsequent surgeries or other treatments you will need in the future. If treatment prevents you from working, you may be able to receive damages for your lost wages. If you experienced significant pain from your injury, or if you have been permanently disfigured, your accident attorney may pursue punitive damages as compensation for the physical and emotional anguish you have experienced. Contact a car accident lawyer as soon as possible after your crash to explore your options for a case. Your lawyer will consider the details of your accident and determine which type of compensation to pursue. Before and after you file a claim, avoid talking to any insurance companies or discussing the accident, which could compromise your case. With countless drunk drivers on the nation’s roadways each day, there’s a possibility that when you’re involved in a car accident, the other driver may have been intoxicated. While this isn’t ideal for public safety, it is good news for your car accident case. 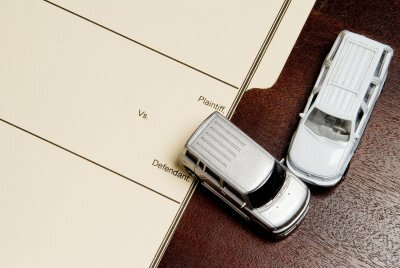 Your accident attorney can use the DUI charge as leverage when negotiating with the insurance company. If your attorney at law files a lawsuit on your behalf, the civil complaint proceeds entirely separately from the criminal case. However, the accident attorney litigating your case in Baltimore can point to the DUI charge or conviction as evidence of liability for your losses. Your accident attorney will handle much of your case for you, but he or she can’t be present at the scene immediately after the crash. It may be up to you to notify police officers of suspicious behavior. After the crash, look over at the other car to check whether the occupants may be switching seats. This could indicate that the drunk driver is trying to escape liability by pretending that someone else drove the car at the time of the crash. Observe whether the other driver tries to hide or dispose of potential evidence such as alcoholic beverages or drug paraphernalia. You may also observe the other driver administering eye drops in an attempt to camouflage bloodshot eyes. When you approach the other driver to exchange contact information, take some deep breaths to check for the odor of alcohol or marijuana. If you observe any of these possible signs of driving while under the influence, inform the police officers promptly. Drunk driving is a criminal offense. Do not try to collect physical evidence such as beer bottles, but do point these problems out to the police officers. There are other types of evidence you can collect that won’t interfere with a police investigation. For instance, you can take photographs of the crash site and you can obtain a copy of the police report. Your auto accident lawyer will need a copy of the report, which should indicate whether the other driver committed traffic violations or was arrested for DUI. What Do Your Workers’ Compensation Benefits Provide? If you sustain an injury while on the job, there’s no need to delay medical care because you’re concerned about sky-high hospital bills. If you’re an employee, rather than an independent contractor, you may be covered by workers’ compensation. A workers’ compensation attorney at a personal injury law firm can help Baltimore residents understand their benefits. 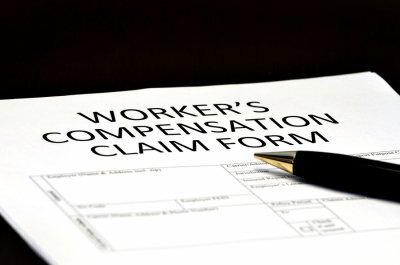 Workers’ compensation will cover the full cost of medical bills related to the injury or illness. This includes diagnostics, in-hospital treatments, and medications. Your workers’ compensation attorney can also help you recover a portion of your lost wages with a temporary disability claim if you are unable to work because of your injuries. In most cases, workers’ compensation carriers will pay about two-thirds of your average salary to compensate you for missed time at work. In some cases, injured workers may even receive rehabilitation and job retraining benefits. For instance, your injury may prevent you from performing your former job, but you may still be retrained to perform a different type of work.